Need more power for your iPhone 8? Then you are in the right place. Here are Top 5 Battery Cases just for you! Not only that but in this article we also provided alternatives (that aren’t powerbanks) and why this list is only 5 instead of the usual number of 10. 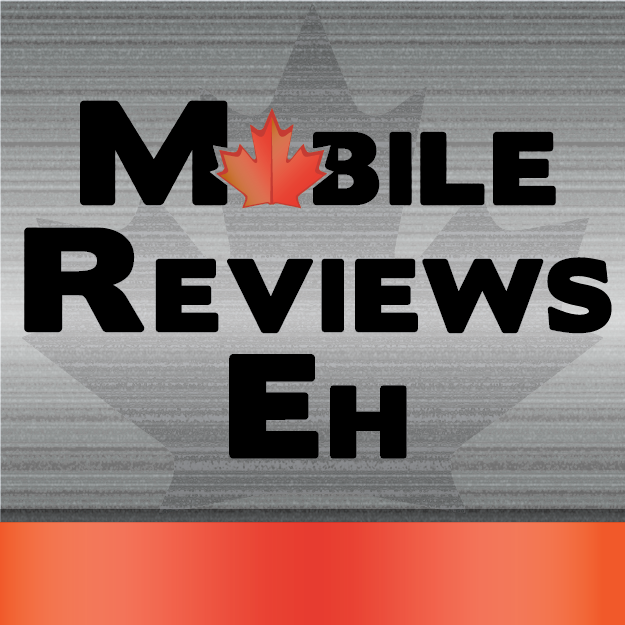 Here at Mobile Reviews Eh!, we base all our videos and reviews on actual usage. So rest assured that even though some of these products are technically for the iPhone 7 and 7 Plus, we actually went and try them to the iPhone 8 just to make sure that everything’s A-Okay! If you want a condensed version of what we listed below, here’s a TL;DR version. If you need to take your iPhone as far as you can from a power outlet, go with the SnowLizard SLXtreme. If you’re on an office setting and just need an on-the-go battery case, then Mophie Force Hold or Apple Smart Battery Case is your case. In this list, we will specifically tackle about the specs of the cases like its charge time for every 10 mins, its design and if the case have any. its extra features as well, We will also talk about who the case is for. And yes, you read that right not every case is made for everybody, That is why you need to be very extra careful on spending your money on cases like these ones. SnowLizard SLXtreme is a massive case that packs a solar panel, a battery and is waterproof and drop proof to 6.6 ft. When it comes to it’s battery case feature, the solar panel is always charging the battery and can get you 10 mins of talk time for every hour in the sun. However, this case is not for everybody. If you are an indoor type of a person this would not be a case for you since you cannot charge your iPhone using a fluorescent office light. But this is perfect for people who wants to use their iPhones for days on end without needing to charge it like country hikers, skiiers and people going on multi-day benders. In our honest opinion, the massiveness of the case is outweighed by the features that it have. This is the only product that we know as of right now that offers all the features of waterproof, drop proof and solar power charging. LifeProof made a FRE Power before for the 6s but they havenʼt updated it for the 7 or 8. So this makes this case a great deal for a $ 150. Kuner Kuke Smart Case is another case with multiple functionality. The case has an added feature of a micro-sd slot on the case and act as an expanded storage for your device. The design of the Kuner Kuke Smart Case is somewhat similar to the Apple Smart Battery case with the iPhone being able to remove easily from the case. The texture of the case isnʼt as good as the Apple Smart Battery case but is still better than the Mophie Classic Charge. However, Kuner Kuke Smart Case’s ability to add a micro-sd card is actually it’s more standout feature than it’s ability to charge the iPhone. This feature is great for people who rip movies from DVDʼs and BluRays that they own and want to play them on your iPhone easily without taking up space on your actual iPhone. But it should be noted that this setup can only be accessed on the Kuner’s app. If you are like us who are quite happy with iPhone 8’s memory, this might not be the case for you. Since the memory of the iPhone 8 is twice the memory of an iPhone 7, the base storage might be enough for a lot of people. NOTE: The Apple Smart Battery Case isn’t officially supported for the iPhone 8. The Apple Smart Battery Case has a silicone coating like the Apple Silicone Case. This makes the handling of the iPhone quite decent. The hump on the case actually helps with the handling as well. It looks odd at times but itʼs very Apple-esque as the bulk doesnʼt interfere too much with the handling of the iPhone. When it comes to the battery feature, the smart battery case integrates well with iOS 11. It shows up in the battery widget and is easy to install like the Kuner Kuke Smart Case. This is perfect for people who might need a bit more power but donʼt want to deal with the hump of the case. The only drawback for this case is it’s price. This is one of the most expensive cases weʼve ever bought at $130 dollars. We think the reason for not making this case compatible with iPhone 8 is because it interferes with the wireless charging of the iPhone 8. Don’t worry though, the case still fits the iPhone 8 without any issues so you can use it! The Mophie Force Hold is the best setup for people who want power without the bulk. The case does not have that many features than the previous entries have but has an easy setup. The Mophie Force Hold case has magnets on the back of the case so the power bank will attach to the back without any hassle. The power station mini also provides for faster charging at 2.1 amps. If you are worried about the wireless charging feature, the case does not interfere with it. The setup is also a little better than the Otterbox UNIverse but isn’t as stable. However, there’s a catch! You will need to buy both both the case and the battery pack separately. It costs $40 dollars for the case and $60 dollars for the magnetic battery pack. A very expensive purchase for a case that has no special features whatsoever. Even the Juice Pack Air, which has a wireless charger in it is cheaper. The handling of the iPhone 8 is decent despite the size because the case has a soft rubber coating. Unlike other cases like Mophie Classic Charge, the Runsy case has a lightning port so you donʼt need to worry about using another cable with the Runsy case. The standout feature on the Runsy case is the USB-A port that allows you to charge other devices. This feature is more useful for younger iPhone users who are in school as it can provide a quick charge to a friend in need. The Runsy case also has a kickstand. But beware as it isnʼt stable. However, it will suffice if you need something to prop up your iPhone temporarily. iBlason Battery Case (3.5 Eh’s out of 5) – This is you standard run of the mill battery case. There isn’t anything special about it like the USB-A port on the Runsy Case. Mophie Classic Charge (3.5 Eh’s out of 5) – The Mophie Classic Charge is the only case that you can buy at the Apple store that’s “officially” fitted for the iPhone 8. Only get the case if you really need a battery case as the options in this article are going to be much better. Our biggest gripe is the fact that it is the same size as the Mophie Juice Pack Air but has fewer features. Mophie Juice Pack Air (3.6 Eh’s out of 5) – Only get this case is you find it incredibly cheap. The fit is a little tighter on the iPhone 8 so we believe the glass back might be at a higher chance of cracking. Also, the Juice Pack Air comes with a Qi-Charger which is something that is baked into the iPhone 8 already. If youʼre looking for an alternative to a battery case that isnʼt a stand alone power bank, consider checking out some of the some of the backpacks from Ghostek. They have a small backpack that has built-in battery while there is a larger backpack that comes with a solar panel that charges the built-in battery like SnowLizard SLXtreme. These battery backpacks are very convenient as you don’t need to worry about keeping track where your spare power might be. If you are worried if these bags are fit for travel, don’t worry we’ve been able to take these bags through airports. Over the last couple of years, there’s a noticeable decrease in battery cases for the iPhone. 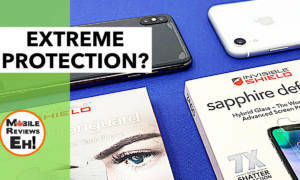 Brands like Thin Charge and Sunny seem to have disappeared, LifeProof doesnʼt make the FRE Power anymore, the H2O Pro by Mophie doesnʼt exist as well..
During the iPhone 5 era, we’ve reviewed interesting products like Enerplex Surfr, a solar powered case, Dog and Bone Backbone, a wireless charging battery case and iBattz Mojo Refuel which was a tough case/battery case hybrid like SnowLizard’s SLXtreme. From our perspective, this has everything to do with the size of the iPhone. Adding a battery case to the 5ʼs wasnʼt too bad because the 5 wasnʼt that big. It was just a really tall iPhone 4. But with the iPhone 6 and current iPhone 8 form factor, adding the bulk required for the battery case which is quite a turnoff to a lot of people. We think weʼll see even fewer battery cases going forward because of all new ways you can charge the iPhone 8. If we ever picked a battery case that we’ve reviewed in the past, we would like to have a Sunny Solar Case for the iPhone 8. The case has a fairly unique design and has a similar solar panel setup as the SnowLizard SLEXtreme. The texture of the case is quite nice, However it doesnʼt have any more protection than a normal slim iPhone case would provide. Have questions about our “Top 5 iPhone 8 Battery Cases” post? Please ask them below or ask them on our Facebook Page or on Instagram. If you want to know more about what we do, check out this page! Does your iPhone 8 need more power? Here's several different battery cases that might offer you a bit of reprieve for your battery needs. Find out what we think are Top 5 Battery Cases for the iPhone 8!